On a winter's night in January of 1810, a group of like-minded citizens gathered for worship in a house. A young man by the name of William Blount served as leader of the service. Out of this worship meeting grew a desire for a local place of worship. On January 9, 1810, a committee composed of John Berrien, James Meriwether, and Philip Scott was authorized to "build a house of public worship, dedicated to God and the Christian faith in the town of Louisville.'" Many men, from all faiths, pledged "subscriptions" of money, labor and materials for the construction. Completed in December 1810, the church was opened to all faiths with the Presbyterians, Baptists and Methodists using the building jointly. In 1820, the building was given to the Methodists and stayed in use until 1860.I In that year, land was purchased from Mr. W.A. Jenkins, located at the corner of Seventh and Peachtree streets, the site of the present church. A small wooden structure was built and used until 1871. In 1871, a more permanent structure was built and used until 1893.2 The church grew during this period and a decision was made in 1893 to build a more substantial building. Construction on the current sanctuary began in the summer of 1893 and was completed in 1895. 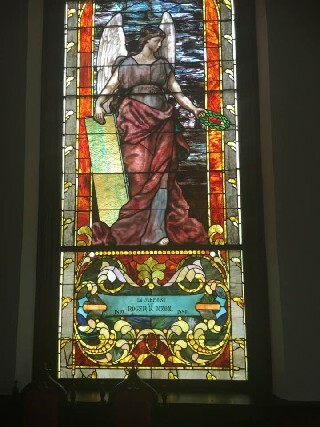 Eighteen windows and three door transoms designed and built by the Louis C. Tiffany Glass Works were installed along with gas lighting and an organ. Pastor, Rev. George C. Thompson who was serving the church at the time was also the architect. 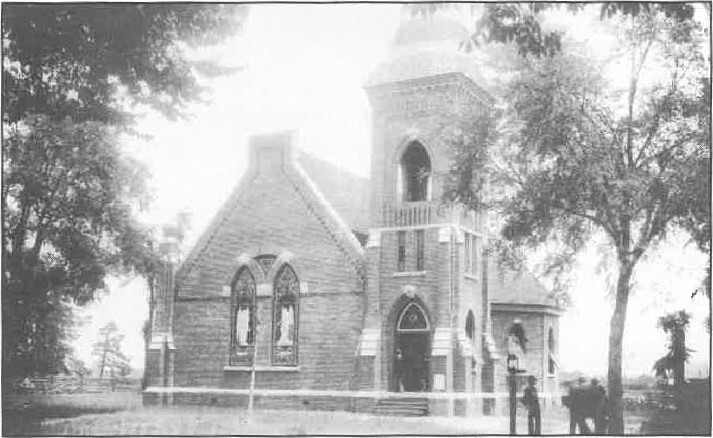 The first service in the current building was held on December 29, 1885. 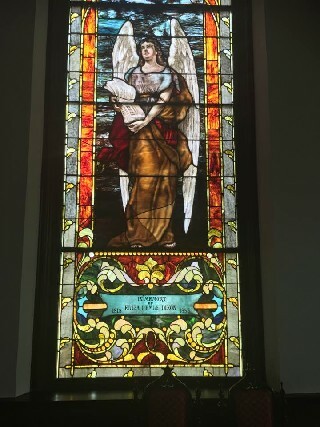 Throughout its history, Louisville United Methodist Church has always strived to be the heart of the community and it continues to do so today through worship, fellowship, study and outreach opportunities. We are a people called to serve Jesus Christ by making a positive difference in the life of our community and world. 1 Minute book of that meeting. Located in the LUMC archives.